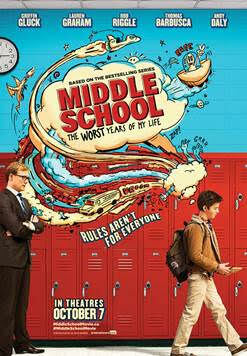 We invite you to attend an advance screening of CBS Films MIDDLE SCHOOL: THE WORST YEARS OF MY LIFE in Sandy, Utah! See it before any of your friends on Wednesday, October 5 at 5:00 P.M, at Jordan Commons in Sandy. Download your complimentary admit-two pass now. While supplies last. Once all allotted passes are redeemed, the code will no longer be valid. Supplies are limited. Reminder these passes are general admission and do not guarantee you a seat in the auditorium. Please arrive early. Refer to pass for further details.